Perspectives from the pioneer of the Chamorro Bible Project. 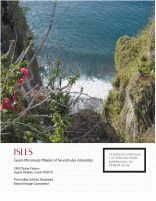 July 25, 2003 ChST Update: The names of the two anonymous Chamorro Bible Project particpants acknowledged in this article are Carl Dobrowolski, Licensing Manager, American Bible Society and William A. Fagal, Seventh-day Adventist minister and Associate Director of the Ellen G. White Estate. 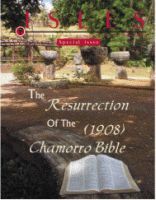 The discovery of the Chamorro Bible and events leading to its republication. History of Reverend Price on Guam and the translation of the first Chamorro Bible. Legacy of a local clan involved in the translation of the Bible reveals stewardship in faith and community. Reasons leading up to the Bible's disappearance and prohibition of the native language. The importance of the Word of God in our lives today. How the Chamorro Bible was added online for public access. A timeline charting the history of the printed Bible.